Smart meters IN THE MILLIONS are currently being installed in all our communities on every home and business. These meters create documented health and safety effects and other serious problems! Q: What is a “smart” meter? “Smart” Meters are digital utility meters that send customers’ detailed usage information to the utility using a radio-frequency transmitter (or over the power lines in the case of Powerline Carrier (PLC) systems. The meter also contains other capabilities, such as remote shut-off. They are part of a larger plan to change the electricity grid to a “smart” grid–though there is controversy about whether the customer meter is actually crucial to that change. Electric smart meters are replacing older analog style meters, while gas “smart” meters are generally small devices attached to existing gas meters. Wireless water meters are also being planned in many regions. 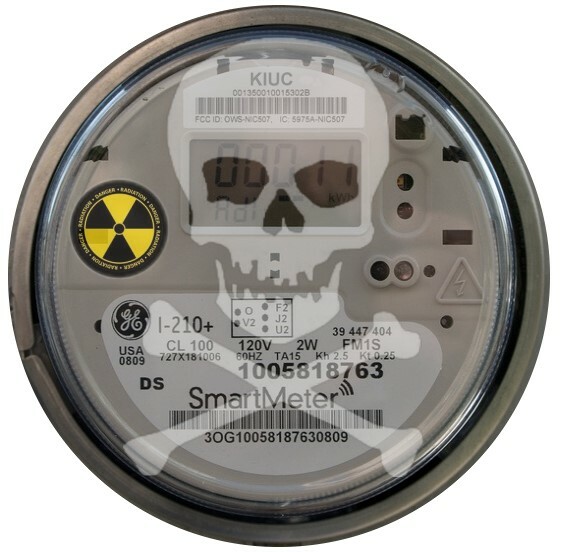 “Smart” meter planning in the United States is related to the Energy Act of 2005 and administered by the US Dept of Energy, the FCC, and each state’s public utilities commission (PUC). 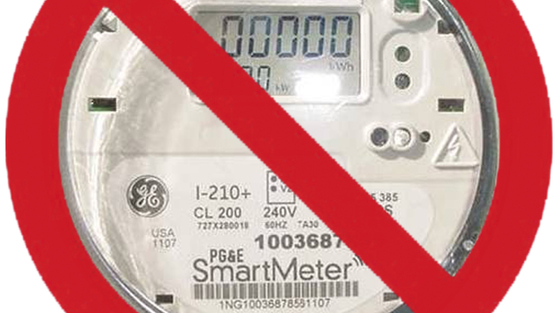 However, in that Act, there was NO mandate to force all residential customers to accept installation of “smart” meters–only that they would be offered. Local utility companies in many states have been approved to install “smart” meters in every building that receives utility services, such as California. Utilities across the country are installing so-called ‘smart’ meters. As a result, bills are skyrocketing, health effects and safety violations are being reported, and privacy in our homes is being violated. Do we really need wireless smart meters? Do you want an accurate, reasonably priced utility bill? Do you value your health, and the health of your family and friends? Do you value civil liberties and the right to privacy? Do you care about wildlife and cutting carbon emissions? Are you concerned about job losses in this anemic economy? Are you in favor of fire regulations that put the safety of residents first? Are you alarmed about the decline of our democracy and informed decision-making? Protect yourself now! Stop this before it happens. What do experts have to say about the Smart Meter? Q: My utility says “smart” meters emit less than my cell phone or WiFi. Is this true? In some cases this is true, and in some cases not true. The figures for RF exposure given by utilities are time-averaged numbers which hide the peak power of the “smart” meter, and disguise the fairly continuous nature of the pulses. “Smart” meters are unlike cell phones or WiFi in their bizarre pattern of sharp spikes of RF. Both of those consumer devices (cell phones and WiFi) can be strong RF emitters. But people are becoming increasingly aware of the potential harm done by chronic exposure to RF radiation-emitting devices and are taking steps to change how they use them. Growing public awareness of RF exposure has led people to choose a wired internet connection or use a wired phone at home. But most people are not offered a wired “smart” meter. And you can’t turn it off once it’s installed. First tell your power company no right away before they install, also send a certified letter to your power company, here is a sample letter, Smart Meters: Notice of No Consent to Trespass and Surveillance, Notice of Liability. Also post signs on your property before the driveway and also post a sign on your meter box stating “Do Not Install A Smart Meter”, lots of sings can be found on the web.